Vitamin C, also known as ascorbic acid, serves several functions in the human body. Some of these functions help the body maintain healthy skin. Because the body does not store vitamin C in its tissues, you need to consume it on a regular basis. 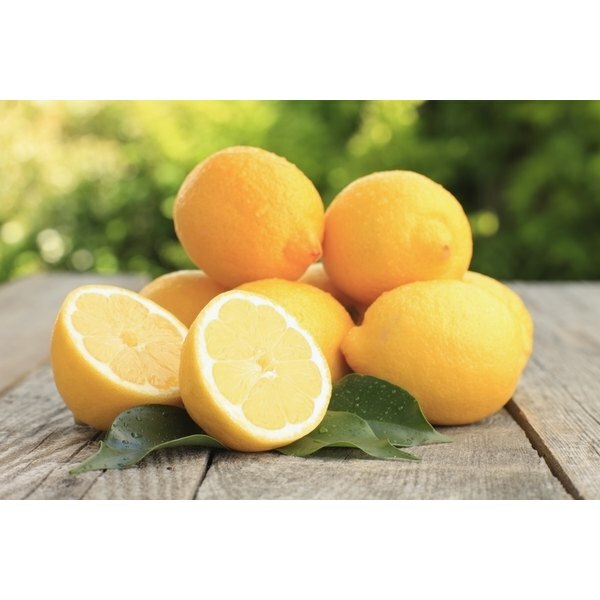 Good sources of vitamin C include oranges, lemons, limes, bell peppers, broccoli and grapefruit. When oxygen interacts with some molecules, it forms free radicals. Free radicals consist of atoms with unpaired electrons. When free radicals react with DNA or the membranes of cells, they cause cell death or abnormal cell function. This cellular damage plays a role in cancer and other diseases, according to Rice University. Vitamin C acts as an antioxidant, a substance that prevents the cellular damage caused by free radicals. This antioxidant effect protects the skin from ultraviolet radiation and the effects of sunlight exposure. The body uses vitamin C to replace damaged skin tissue with scar tissue, which helps wounds heal properly. This connective tissue has a limited blood supply, so it appears paler than the original tissue. Scar tissue also has limited function and sensation. Wounds that heal slowly may indicate a vitamin C deficiency. Vitamin C helps the body produce collagen, a structural protein that helps form bone, tendons and ligaments. Several types of collagen provide structure for body tissues, but type I and type III collagen have the greatest effect on the skin, according to SmartSkinCare.com. Type III collagen makes the skin of young people very soft. As people age, type I collagen replaces type III collagen. Vitamin E also serves as an antioxidant in the human body. Vitamin C may play a role in regenerating oxidized vitamin E, which is vitamin E that interacts with free radicals to prevent cell damage. Vitamin E has several important functions related to the skin. It protects the skin from UV light and, according to the University of Maryland Medical Center, may improve the texture of skin and reduce the depth of skin wrinkles. Collagen also provides structure for blood vessels, so the body needs vitamin C for a healthy vascular system. The tiny blood vessels under the skin carry oxygen and nutrients that keep the skin healthy. Without enough nutrients, the skin may become rough or dry. Some skin creams contain vitamin C to improve the appearance and texture of the skin.